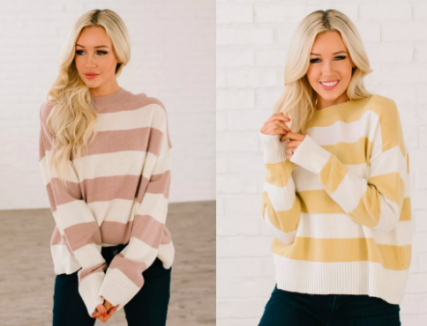 Cindy Stripe Sweater for $24.99 (Reg. $48.99) + FREE SHIPPING! Cool-weather is here for a while. You will want to keep the chill off in this bold stripe pullover sweater.